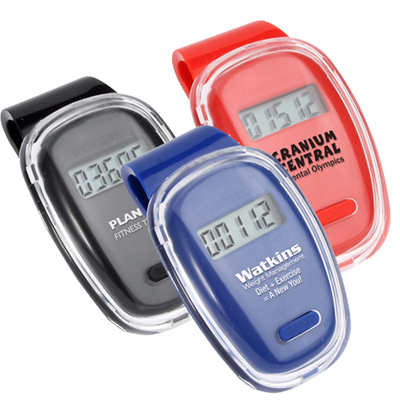 With Designer Top-View Pedometer you can expect a successful promotion for your brand. 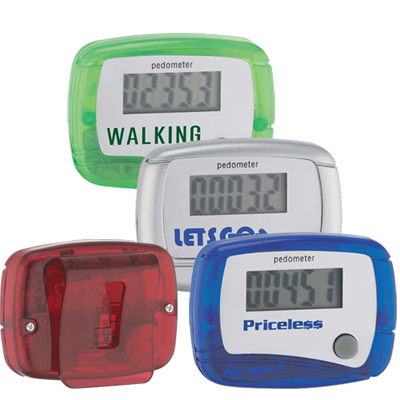 Designer Top-View Pedometers are a very stylish, basic step counter pedometer used during promotional campaigns. Our Printed Pedometer can make your brand visible in the market and you end up receiving a huge response from your customers with great delight. This way you can get connected to a large audience with a better market presence that will impact your brand in a positive manner. "We distributed these pedometers at our gym's 1st anniversary. " Walk in style, with this designer pedometer!